London has had to contend with the issue of mattress disposal for too long in our opinion. We believe that when it comes to removal all it should take is a single collection. That way when you’re looking for help, all you need is a service that makes things easy and you’re sorted! When it comes to mattress removal, London has two choices. The wrong way is to get an unlicensed company to collect. This may seem like a cheap and affordable way to go about things, but as is always the case there are no guarantees. If you hire an unlicensed company to get rid of your junk there’s every chance it won’t be disposed of correctly. This can then easily double the cost because you may end up being fined for fly tipping. When you need help getting rid the affordable way there is only one mattress disposal London option that makes sense folks: us! Think about it; we’re the experts when it comes to mattress collection, London loves our quick and easy service, and we get it disposed of the right way every single time. Now that’s what you call amazing help across the entire city! Having to dispose of a mattress can be a real removal headache; there’s simply no getting away from it. When you buy it and it’s brand new you’ll never think about the removal which is why when the time comes you need an expert to shift your old bed. To make old mattress collection and removal simple we work with a single goal in mind: to give you the customer exactly what you need. Some companies may do it in a different way, but we guarantee we’ll do it right. We can’t say fairer than that can we folks? Unwanted mattress collection is more an art than a science. By this we mean that we know we have to be flexible. You may need help with soiled mattress disposal to get your rental property ready, or you may want a standard removal of a mattress to make way for a new one in your own home. From our point of view there are no judgements and no restrictions. When you ask us to take care of the removal of an old mattress then that’s exactly what we do. Plain and simple! London is not just one the great cities, it’s one of the most beautiful places to live in the world. It offers us so much and the countryside is so nearby that it seems crazy how many unlicensed companies are willing to fly tip. Our approach is to always do what’s best for you, and what’s best for the environment. That way when you ask us to dispose of an old mattress you can sleep with the peace of mind that we’ve taken care of everything the right way. 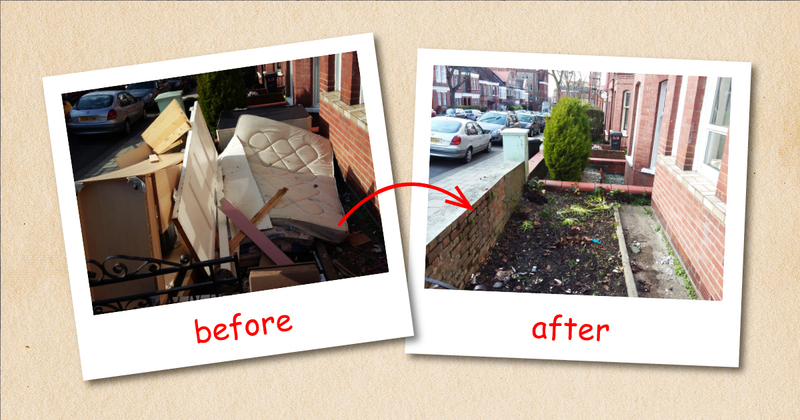 The mattress removal service that we’ve developed is far more than a collect and dump service. We recycle as much of what we can from every single job. If everyone just tipped or dumped their waste then imagine how quickly London would take a turn for the worst. That’s all the motivation we need to tackle mattress waste disposal from a whole different angle. We’ll even take your old mattress wherever it is you want it to go. You may be donating it to a charity shop, selling it online, or passing it onto someone in need. No matter what you want to do with it just let us know and we’ll build it into the mattress disposal cost. That way all you have to do is consider a single fixed price and decide whether you want to go ahead with us! We pride ourselves on offering transparent service at every turn. For us it’s not enough to be the most efficient, most affordable, and the most reliable; we want to be the easiest to work with. That’s why we always agree a simple fixed price for the work before we begin. It’s easier for you because you know what you’re getting for your money, it’s easier for us because we can give you great service, and it’s easier for both us because we’re on the same page from day one. Not only are we the most transparent operation in all of London; we’re also a flexible and adaptable team. Because we’re far more than a simple one man band we can bring the tools, vehicles and men to your premises that we need to get the job done. That means that no matter how many floors up you are or how long the lift in your building has been out of action, we just power through without complaint. Now there aren’t too many companies who will do that in this day and age are there folks? To make things simple we always quote you a clear fixed mattress removal cost upfront. This is ideal because when you want to dispose of a bed and mattress you’ll likely be paying for new items too. By allowing you to budget for your bed and mattress disposal we ensure that you have more than enough money leftover to treat yourself to a comfy new duvet and a cool new bedspread! Getting started with our team couldn’t be easier. All you have to do is pick up the phone and dial and we’ll be in touch with everything you need to know to get your bed and mattress removal off to a flying start. Our dedicated team will ask all the right questions so that you know exactly what to prepare before we arrive. It also ensures that we arrive with the right tools for the job so that nothing gets delayed. Perfect for when you need to get your old stuff out of there before the new stuff arrives.